Phelios is a 384/96 microplate luminometer with a multi-color filter system, which enables multi-reporter gene assay using different colors luminescence generating luciferases. Phelios also would offer a wide range of application including ATP assay, ELISA, superoxide detection, and estimation of anti-oxidative activity, etc. in cell biology, physiology, microbiology, food sanitation, environmental assessment, etc. 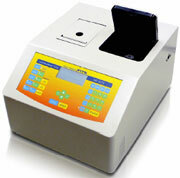 A single-tube type personal luminometer equipped with a multicolor detection system. A compact body houses a printer and an injection pump. 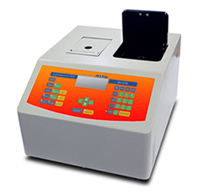 Easy to operate and applicable to various types of analysis such as ATP assay, measure-ment of superoxide, antioxidative activity, chemiluminescent enzyme immunoassay, luciferase assay including multi-reporter gene assay using multiple-color luminescence reagents, etc. A high-spec spectrometer equipped with thermoelectrically cooled CCD to measure luminescence and fluorescence spectra over whole wavelength range simultaneously. LumiFLspectrocapture can detect ultra low intensity light and can be used in studying fluorescence resonance energy transfer (FRET) and bioluminescece resonance energy transfer (BRET).